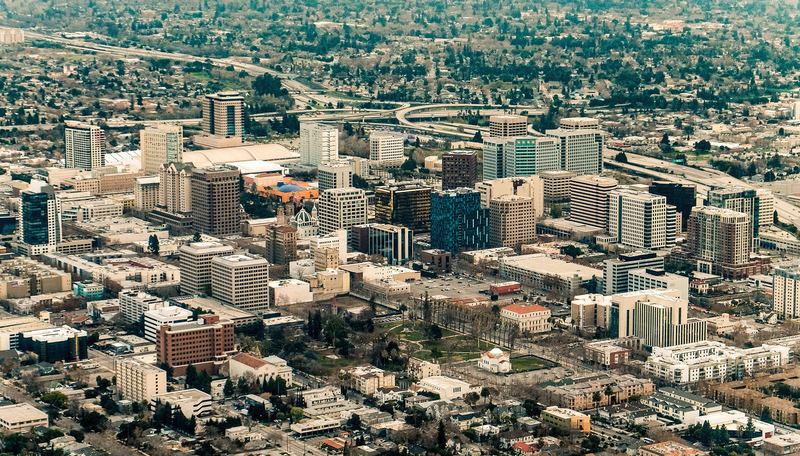 Believe it or not, San Jose building heights are actually below FAA requirements. The restrictions were self-imposed to boost the airport and attract more international flights. Now that we have one of the fastest growing airports in the country as well as the 2nd busiest in the Bay Area, the City Council has decided to remove some of those restrictions to help Downtown San Jose development. There will be some negative impact to SJC. On the rare days with inclement weather where long-distance flights have to take off south over Downtown, they will need to either limit the number of passengers or cargo. This is required to safely fly over the Downtown core in the extremely rare event where one of the two engines becomes disabled. The positive side to the changes is that most of Downtown will get an extra 15-30 feet of develop-able space, making high-rise construction more compelling to developers. In the Diridon area, you might see buildings up to 150 feet taller than what is allowed today. The change is estimated to open up over $4.4 billion worth of vertical real estate in the Diridon area alone. Perhaps one day we'll have electric planes with vertical take off and landing and can completely eliminate the height requirements, but for now this is a positive step towards building a more dense and vibrant Downtown.